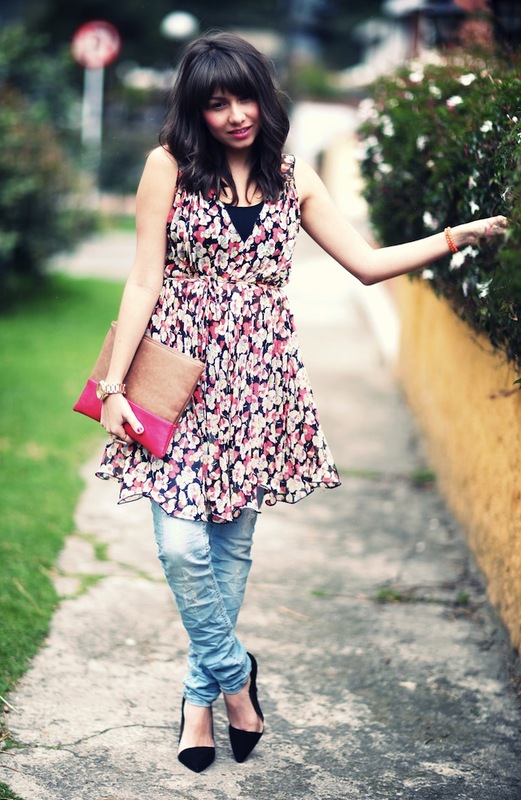 Se lleva mucho el look jeans+dress. so amazing dress of forever 21! i want a forever 21 in madrid!! kisses pretty woman! raquel un besito y gracias como siempre por comentar! Estás monísima,me encanta este look! I love this outfit, the clutch bag is so great. Also your jacket from yout 60's inspired post is killer. You have great style. que guapa!!!! tengo esa cartera en los otros colores que habia!! es genial! Me encanta el outfit entero pero el clutch... es lo mejor!! I really love your clutch. Me encanta la combinación que has hecho!! me quedo con todo!! :D un beso! Que es esa belleza de clutch..... como siempre tan bonita juli y los zapatos me encantan. so cute, i love those pants. 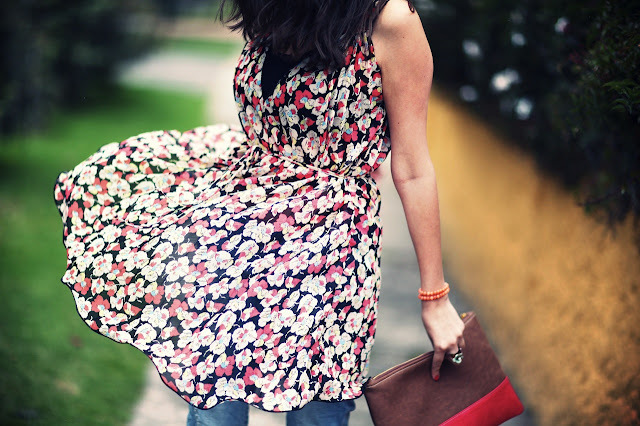 love that awsome outfit, i use to wear my dresses with jeans too, even moore on winter!!! I get that same hand bag also in mustard and blue, love it, hurrey for them,!!!! hand bags are the really must have from this winter!!! 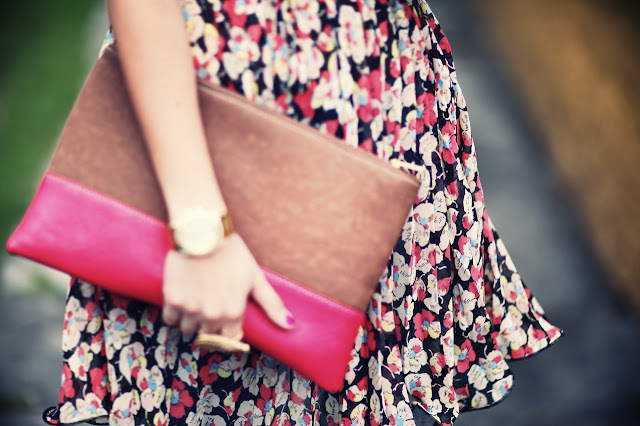 Gorgeous photographs - I am a little bit in love with your two-tone clutch! las flores son el estampado más bonito que hay!!!! I love your Jeans and those ZARA shoes! So cute! Your blog ISA love at first sight !! I love your pictures soooooo much !!! What camera and lens do u use ? LOVE this outfit!!!! You're so courageous by wearing that kind of shoes again! I want too but i haven't dared to buy a pair yet! so very nice this outfit !!! gorgeous dress and love how you style it !!!! I absolutely adore your Bershka clutch, it's perfect for summer and fall! I used to live in Madrid and would go to that store all of the time, but now I'm back in Chicago and we don't have one. Wow beautiful dress! Looks so good with the clutch.